One of the most important things that blossomed because of technology isthe appliances. Appliances make people’s live really comfortable. Things that used to take hours and a lot of effort to do now takes only minutes and seconds of your time. Plus, with less time, doing these chores requires lesser effort too which is really convenient for this modern world. And with the emergence of appliances, the need for repairs also rose as these appliances get broken once in a while too. Some appliances are turned on almost 24 hours a day like the refrigerator. Some are needed in a day to day business. Some appliances like the dishwasher require periodic use and needs to be used unless you want dirty dishes piling up in your sink. For all sorts of appliances, you can call on Appliance Repairs Mississauga. 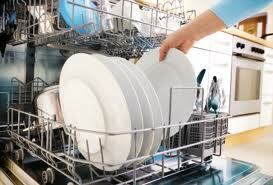 We are the best team for Dishwasher Repair Mississauga. Not only do we do dishwashers, we repair other kinds of appliances too because it is not just our job to repair your appliances, it is our job to provide you with the convenience that you deserve. We, at Dishwasher Repair Mississauga, understand your need to spend your time for more useful and productive stuff like family and work. We value your convenience and your time. Plus, it’s a fact that even the smallest of requires great knowledge on circuitry and the various specifications for each model of appliances from each brand. It would take years to really study and master this kind of stuff. That is why we are here for you. We will make your life better. We will do the repairs, big or small, that you can’t. More than that, we can guarantee your satisfaction with the kind of experienced team that we have. 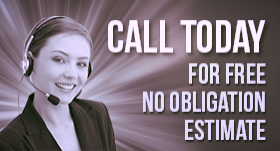 Call us now to avail of our services.